When people in and around Phoenix suffer from serious pain of the back or neck, our practice is here to offer advanced surgical spine procedures as well as other treatments that aim to enhance overall health and wellness. While physical injuries and trauma can often cause serious back pain and back aches, excessive weight plays a common factor in a number of back pain cases. Let's see why this is the case. 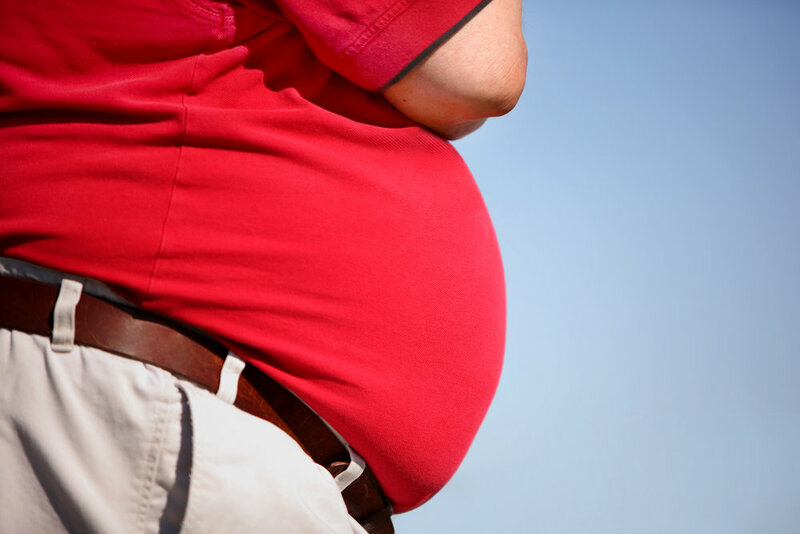 Excessive weight and obesity can result in a number of different health issues. This includes hypertension, heart disease, diabetes, increase risk of cancer, and joint pain. There are other kinds of health issues to note, such as increased risk of sleep apnea and other kinds of breathing issues.What surprises a number of people--but really shouldn't--is that excessive weight can cause problems with the spine, including lower back pain and general backaches. Excessive weight puts a great deal of stress on the spine, which is no surprise since it is intended to support the body as a person moves. The joints, muscles, nerves, and other structures of the back may be affected by excessive weight. This may be the result of poor posture, a sedentary lifestyle, poor diet, and osteoporosis.These weight-related issues are especially true of the lumber region of the spine. The lumbar spine is located in the lower back, and it bears the most body weight of any portion of the spine. In addition, the lumbar spine also provides the most flexibility. People who are overweight and have been for many years will experience prolonged strain on their back and spine. This will result in long-term wear and tear on the bone, discs, muscles, and other structures of the back. Simply by carrying excessive weight for several years, you can do a lot of unintended harm to your body over time.The damage is even worse if you are morbidly obese. Not only are the risks of back problems higher, so are the risks of other health issues noted above. Given all of the stress and strain placed on the back due to excessive weight, people who are obese or morbidly obese face an increased risk of injuries. This may be pulled or torn muscles, or perhaps a slipped disc. Again, this is the result of the excess weight and its strain on the back over time. If you are obese or morbidly obese, it's a good idea to make healthy changes to your lifestyle to help prevent back problems in the near future or much later in life. This means exercising regularly, eating a healthy diet rich in fresh fruits or vegetables, and avoiding foods that are process or packed with unhealthy trans fats. Diet, exercise, weight management can both make a major difference to your overall wellness.Be sure to discuss these matters with your general practitioner or a back pain specialist. There are a lot of options for preventative care to consider. If you suffer from a serious back injury as a result of excessive weight, there are a variety of non-invasive, minimally invasive, and surgical options out there to address your issues. We would be more than happy to discuss them with you in greater detail during the consultation process. For more information about back pain, neck pain, spinal issues, and how these can be relieved, be sure to contact our neck, back, and spine surgery center today. Our team will work with you to ensure smart solutions to your problems.